If you’re a fan of open-world action RPGs, there’s a chance you’ve heard of Ashen. 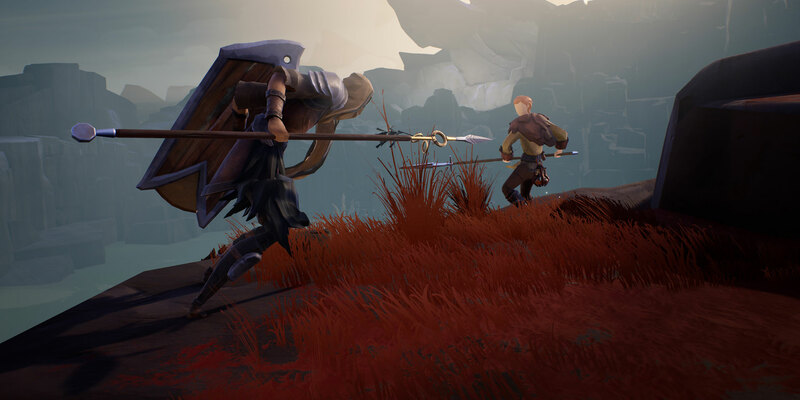 Developed by New Zealand-based studio A44 Games initially with just three people, the team eventually expanded to roughly 40 before launching their first game, Ashen, to much critical praise in December 2018. To learn how A44 Games executed their vision using Unreal Engine 4, we interviewed Creative Director Simon Dasan. He explains how the studio achieved their signature art style, created co-op that seamlessly (and mysteriously) switches AI companions with real-human players, and delves into how they designed Ashen’s mysterious, haunting world. One of Ashen’s most striking features is undoubtedly its beautiful, minimalist aesthetic, which pulls players into an impressionist painting. To achieve this look, A44 Games had to constantly iterate. "The art style of Ashen took a long time to develop and continued maturing throughout development,” Dasan stated, adding, “We wanted to create a world that was beautiful and optimistic, yet dark and mysterious. The art provides a point of difference, and hopefully, visuals that will stand the test of time." Bolstering the game's unique visual identity, all characters are faceless. The creative director elaborates on how the studio came to this concept, "Early on in development, we were trying to really reinforce the mantra of 'forging meaningful relationships,' which is core to Ashen. As part of this, we tried wiping the faces off the characters so players would judge each other by actions rather than any preconceived notions stemming from character customization.” Surprised by the success of this tweak, Dasan stated, “This worked far better than we hoped, so it stuck around. Luckily enough, it also really fed into the art style and gave our characters a unique look." Considering players can customize their own characters, Dasan credits Unreal Engine 4 with assisting the indie studio to get this feature off the ground, "One of the core things we love about using Unreal is the ability for anyone, be it a coder, designer, or artist, to go in and really quickly knock up a prototype of the feature we want. We were able to put together the character customization very quickly, which, as a small team, means the world." 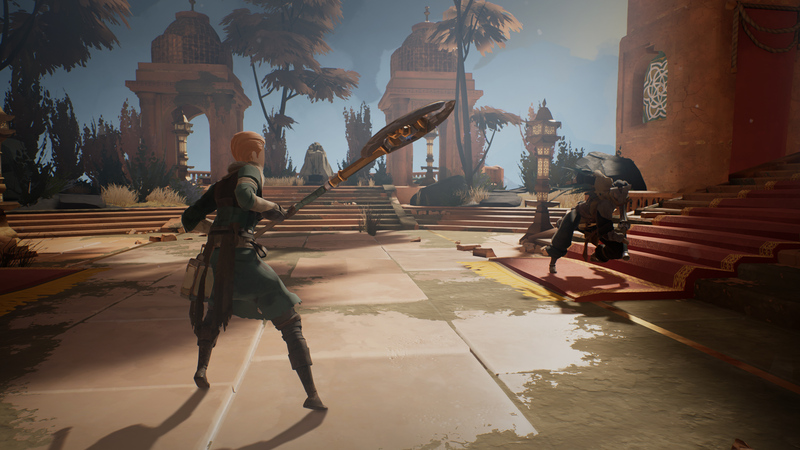 Ashen’s weighty and impactful combat is another aspect of the game that has received significant praise. As GameSpot noted in their review, "The controls produce a methodical approach to combat that's enjoyable to just lose yourself in." Designing a fighting system that feels challenging without ever being unfair usually requires the work of a seasoned studio. The fact that A44 Games was able to do so with their first title was monumental and is a testament to the developer’s pursuit of perfection. "The combat is something we spent a long time iterating on. Things were changing right up until the end in the never ending quest to get things as tight as possible," Dasan stated, adding, "Really, it’s all iteration until you have something that feels satisfying, and from there, we playtested everything multiple times in different ways and honed it all in." Serving as an open playground for the combat is Ashen’s vast and explorable world, which includes diverse landscapes such as snow-covered tundras, mountainous regions, and fantastical cities. As COGconnected noted in their review, "its world is like nothing you’ve ever seen. You have to work to see it all, and you’ll want to." On creating the game’s interesting and tactile setting, Dasan elaborated, "We knew from the start that we wanted a lot of verticality in the world, so it was always front and center right from greybox." Sharing how the studio tied combat to level design, he added, "Ashen has a seamless open world and features stamina-based combat, so options for entering, skipping, or exiting combat was something we knew would separate us from other games in the genre. Spear travel was another aspect we could play up due to the verticality, and when designing a level, being able to have all that in mind was actually very freeing." While many parts of the world can be dark and dangerous, A44 Games wanted to create a refuge players could retreat to and designed an area called Vagrant’s Rest, which incorporates a base-expanding aspect to the game. On developing this region, Dasan stated, "This was one of the aspects of Ashen that had been around since day one. It fed deeply into 'forging meaningful relationships' that you could have a safe spot where you felt a sense of connection, community, and relaxation. We wanted you to want to go back to town for many reasons, whether it was to craft, hand in quests, or just to see how much it is growing." 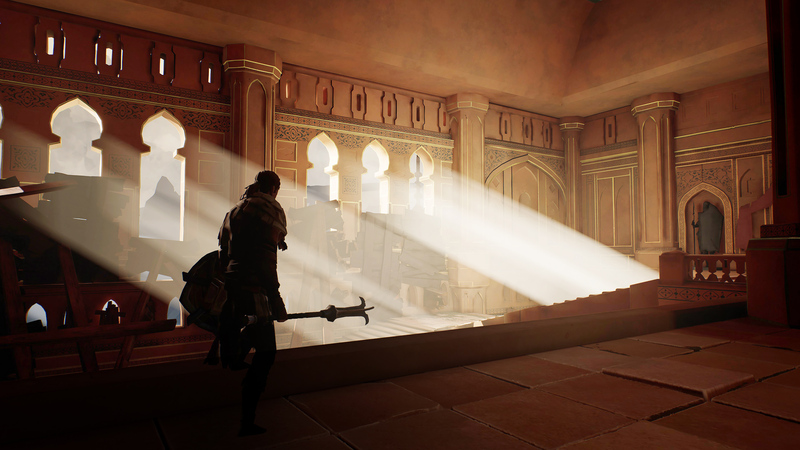 While you can play Ashen as a single-player experience, A44 Games designed AI companions, which help players access parts of the world that they wouldn't be able to assess by themselves. Unbeknownst to players, however, real-life humans could replace these AI partners at any given time. Dasan elaborated on the studio's cooperative design goals here, "Ashen was envisioned as a game about forging relationships from the very start. One of the things we hooked onto early on was the desire to breathe life into NPCs that might otherwise be static quest delivery devices. To do this, we mixed passive multiplayer, that allows other players to roleplay as each other’s townsfolk out in the world, with high risk combat that puts those fleeting player-to-player encounters in peril." Unlike most other co-op titles, when real-life human players join you on your adventure, you don't get notified. This, coupled with the fact that there is deliberately no in-game voice chat, instills a sense of mystery as to whether you're playing with an AI-controlled partner or a human companion. GameSpot noted the innovative impact this mechanic can have on the experience, "With no voice chat, actions define a person's character, and this can form powerful bonds that last for the entire game." On designing this novel concept, Dasan elaborated, "We wanted to create an organic-feeling world where you can experience a variety of interactions with people. Some may be fleeting, which is meaningful in itself, and some will hopefully be very memorable for people. The world itself is harsh, so our multiplayer is purely positive and cooperative. Players don’t see each other’s avatar and instead take on the appearance of important characters in Ashen. We wanted players to feel like the Townsfolk are joining them on these journeys, rather than just giving players tasks." Players will need all the help they can muster as the game features brutal enemies and difficult boss battles. 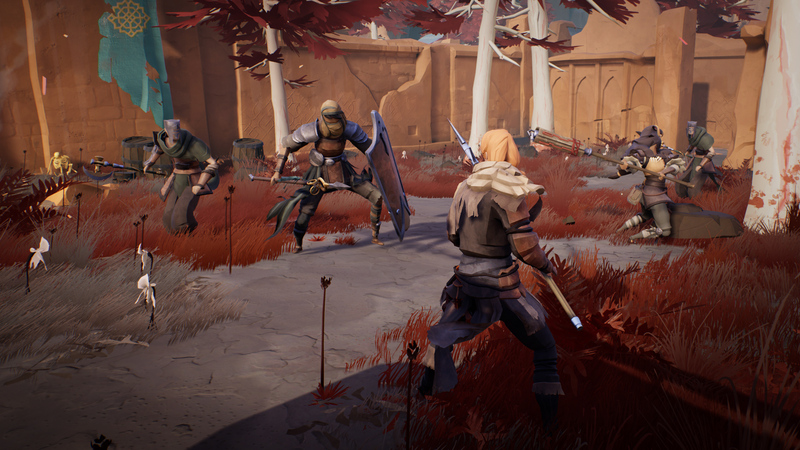 As PC Gamer noted, "Ashen's enemies are tough, its bosses are blockbuster." On designing these fierce foes from both an aesthetic and gameplay perspective, Dasan explained, "We always take a world-first approach to everything in Ashen. When we solidified the world and what its current state was, everything else flowed from that. There would be things we would want to visually show in art, or design would have a specific mechanic that was core to a boss, which would inform how it looked and played. It all, however, stemmed back to who they were, what was at stake, and what role they play." The fact that A44 Games was able to create such a well-rounded, captivating title with their first release while forming the studio in tandem is a rare accomplishment in the industry. "I’m still not exactly sure how we overcame it other than lots of hard work," Dasan exclaimed, adding, "We’re really lucky we have such a talented and dedicated team, because there’s simply no other way Ashen would be a reality." It is perhaps even more amazing that they were able to develop the game with little UE4 experience going into the project. "We were able to get up and running extremely quickly thanks to Unreal Engine being able to do so much out of the box, and what you can’t instantly do, you can get extremely quickly because of Blueprints," Dasan stated, adding, "As time went on and the team grew, we were able to bring on more people with Unreal Engine knowledge, but being able to learn on the go in the early days was invaluable for us." One UE4 tool that proved to be particularly helpful to the project was Sequencer, which helped breathe life into the game’s beautiful cinematics. "Something that made a big difference for us that came in during development was Sequencer. We were able to create in-game cutscenes quickly and cleanly, and were able to utilize it for trailers as well," Dasan stated. Regarding the engine as a whole, he added, "There are so many tools that allowed us, as a small team, to tackle a large game." 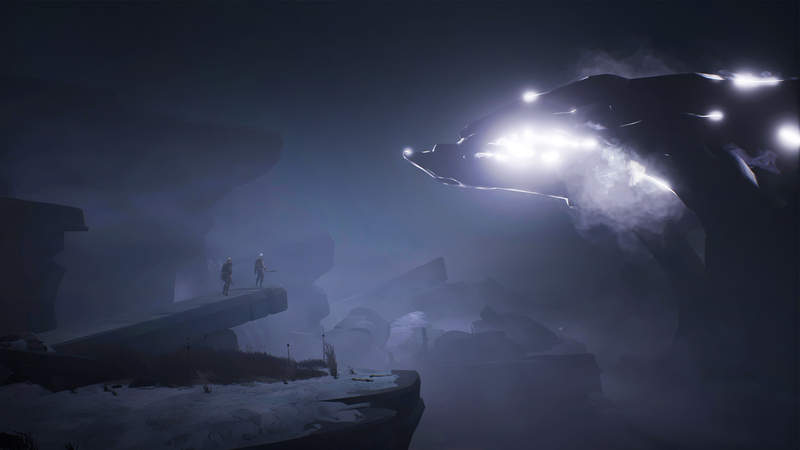 With review sites concluding that Ashen is “thoughtful, gorgeous, challenging and a dream to explore,” it's safe to say that A44 Games' efforts have amounted to incredible success. Ashen is available now. 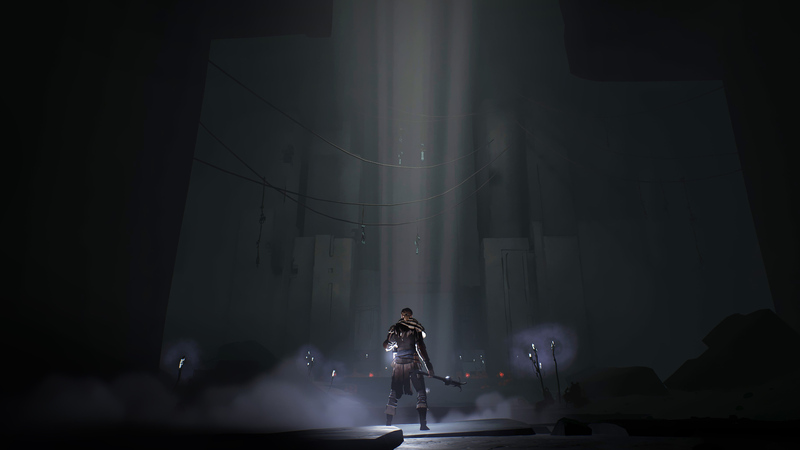 You can learn more about the game at https://www.ashen-game.com.